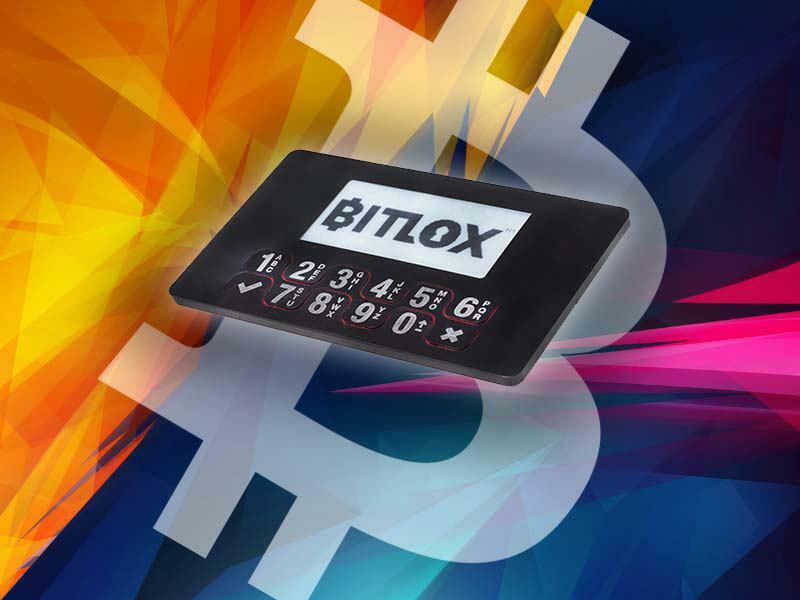 BitLox is a new entrant into the physical Bitcoin wallet market. BitLox Creator Dana Coe sent us a wallet to test and review, and also answered some questions about BitLox, its development, and more. One of the first things you will notice about BitLox is it uses an e-ink screen which both saves power and makes reading it easier in many different lighting situations. The screen is one of many features which make it a unique entrant into the market. Dana Coe gave us the background on the company and further information on the wallet. Could you give some background on BitLox, how it was started? About 18 months ago (Spring ’14), I had the chance to use a hardware wallet. After playing around with that for a bit, I decided we could make one on our own. I wanted to have one with all the features _I_ wanted! What got you into Bitcoin? I had heard something here and there about Bitcoin for a while, can’t say exactly when I heard about it first. In the fall of ’12 I downloaded some pool mining software and loaded it onto all of my employee computers in the office. That was my first real “playing around” with it. I did not get into the nuts and bolts of programming for it until the idea for the BitLox came along. Once one starts working directly with the data, building and parsing transactions yourself…it’s a completely different world. You can’t rely on someone else’s API or such, you have to get down in the source code and truly understand how it works, and the more I understood how it works, the more fascinated I became. 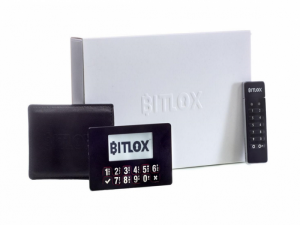 What do you feel sets BitLox apart from other hardware wallets? You are sitting in a public library, you want to transfer bitcoins from a wallet that contains a large amount of coins. You do a transfer, and are suddenly tackled. Now your wallet is open and they can see all the coins! BUT, since you set up a transaction password, the “Bad Guys” can’t steal your funds. They would have to know that to send anything more out of the wallet. Meanwhile, you could use your backup mnemonic to move the funds as the Bad Guys can do nothing. – Just one of the multiple scenarios we’ve thought out. Hidden wallets are another. I actually know someone who was robbed at gunpoint when doing a LocalBitcoin transaction. Not, “Give me the cash”, but “transfer all coins NOW”. Hidden wallets are exactly the kind of safety that you need in the case of such situations. Will the BitLox wallet also support any alt-coins in the future? Yes! We are working on this, it should be rolled into the next few firmware updates. We’ve already had specific requests for DASH and Ether support. The main question with alt-coins is the availability of a reliable blockchain datasource/explorer that is compatible to our parsing engines. We run our own full Bitcoin nodes, so with sufficient use we can bring nodes for alt-coins online too. What are some of the key features that makes BitLox unique? First and foremost, by design the BitLox NEVER makes you enter a PIN or anything sensitive on a computer or mobile. 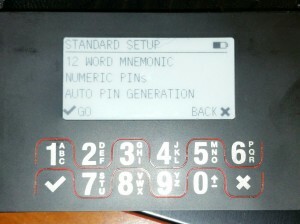 ALL PINs are entered directly on the device keypad. PINs may be up to 20 characters long, 0-9a-zA-Z, so you could have a PIN such as the43346LIzaRD Expanding the keyspace like this is one way to make sure your funds are ALWAYS safe. Speaking of PINs, we have a nested level of PINs for ultimate security. A DEVICE PIN, without which you cannot communicate via Bluetooth or USB. Nothing; the device is inert without this PIN. Security lockouts are exponential. WALLET PINs, for each wallet on the device, of which you may have a total of 100 with 50 hidden. NONE of these PINs are entered on the computer or phone, they are entered directly on the BitLox. When doing a wallet recovery from mnemonics, the same logic applies. You enter the mnemonic directly on the BitLox, not on any computer or phone, so your mnemonic is never in danger of being recorded. Are there some upcoming features or devices we can look forward to? As soon as true full-color e-paper displays are out on the market, we are absolutely going to introduce these into our high-end models. They won’t be cheap, but they will be very very cool! Is there anything you would like to discuss that we have not touched on yet? In the next weeks, we will be open-sourcing our app software and API. Think you can write a better BitLox client? Give it a try! In writing our apps, we stay away from wallet “APIs” that are provided by various data services. We prefer to use “raw” data pulled from various providers. That way we can change these providers more easily, and be more resilient. What are some of the design elements that have went into the BitLox wallet making it just a bit bigger than a credit card? Good grief, it’s MUCH harder than you would ever believe to get things crammed into a small space. The chips have a physical height of ~1 mm, the case can be no thinner than 0.1 mm (even Titanium, though in one spot we get away with 0.08 mm), the screen is 0.9 mm, the board is 4 layers… and and and. It’s a complex 3D jigsaw puzzle, where everything has got to line up correctly. The case is computer-controlled machined out of a solid block of alloy, the internal electronic components are sometimes actually “embedded” into the printed circuit board itself. The faceplate is stamped and then laser cut/engraved for precision. All this has to then be put together with a tolerance of 0.02 mm. It’s crazy. Even so, after all this trimming and pushing, the BitLox is incredibly durable. You can throw it in a pocket and never worry you’ll bend it or damage it in any way. Dana provided a BitLox wallet for us to try out. One of the first things that you notice is how sturdy it is. Being credit card-sized, and only as thick as three credit cards, it was still very solid. The wallet keys are flat but do have edges that might catch if you’re when moving it in and out of your wallet. That being said, the wallet comes with a nice leather case, which is durable and allows you to just throw the wallet in your pocket or backpack. Setup of the wallet was fast and simple. The BitLox uses an e-ink display that is easy to see in different lighting conditions. Once you turn it on, it walks you through the setup. First you choose your language; it has several options, which makes it useful for most people. The next step gives you the choice of three setups: Standard, Advanced and Expert. Each one gives you different levels of control and options. For this test we went with Standard as most people will use it. First you get to choose the length of your device pin. 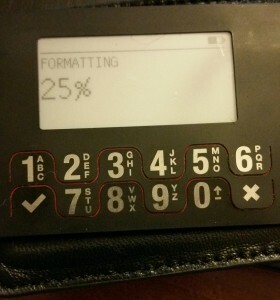 Once you choose 4 or any of the choices it will format the device. Now you generate the wallet pin again with various choices of length up to 8. Now your 12 word seed is generated write this down. It is how you restore your wallet if there is a problem or you can import it into any HD wallet to recover if you like. Now you can pair your wallet with the app. The BitLox app for Android that we tested with is simple as well. Simply choose wired or Bluetooth connection on the BitLox, click scan on your device. Once it sees the wallet you simply click on the wallet in the app, type in your wallet pin on the BitLox. Now you see the specifics of your wallet. Transactions, options to sign a transaction, send or receive bitcoin. Simple and fast total setup time is 5 minutes or so. Your wallet qr code is shown on the BitLox for easy receiving of bitcoin. We used the wallet for a couple weeks. In that time I had no failures or issues. I carried it around in my pocket just in its case and made several transactions. Another great feature is that you can do several things with the wallet. If you think it is compromised, you can simply type in 911 as a pin. This will wipe the wallet. You can either restore from your seed or let it create a brand new wallet, addresses, and a new seed. I tried this twice; once from seed with no errors, and the second to do a completly new wallet and seed, which also worked fine. BitLox also puts out firmware updates with a simple installer. One was issued during our review period; we updated and restored from the seed wit no issues. Overall, it is another excellent entry into the growing hardware wallet industry. There are some concerns for some people, though. At this time, the source code is closed, which will turn off some people from the wallet. BitLox is releasing the app source code first and in the near future should probably release the wallet software as well. Once that is done, there is not much to worry about. Some will not like the Bluetooth connectivity as it can be seen as a weak link. Requiring the correct pin, though, makes hacking through Bluetooth nearly impossible. As always, use caution. You are your own bank with Bitcoin. 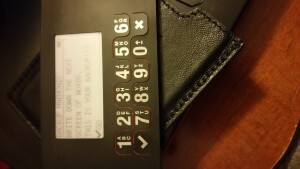 We liked the wallet and its easy to use functionality and durability. Only the possibly of a key getting hooked and pulled up seems to be the physical concern. Dana and his team have been quick to answer questions and help if needed. Both the wallet firmware and the app receive regular attention. Dana has also given out wallets to key Bitcoin developers to get their input which will help with future updates and compatibility. Thanks, Dana, for taking the time to speak with us and the wallet to test out. We will keep you up to date on any new developments with BitLox. What are your thoughts on the BitLox Bitcoin Wallet?